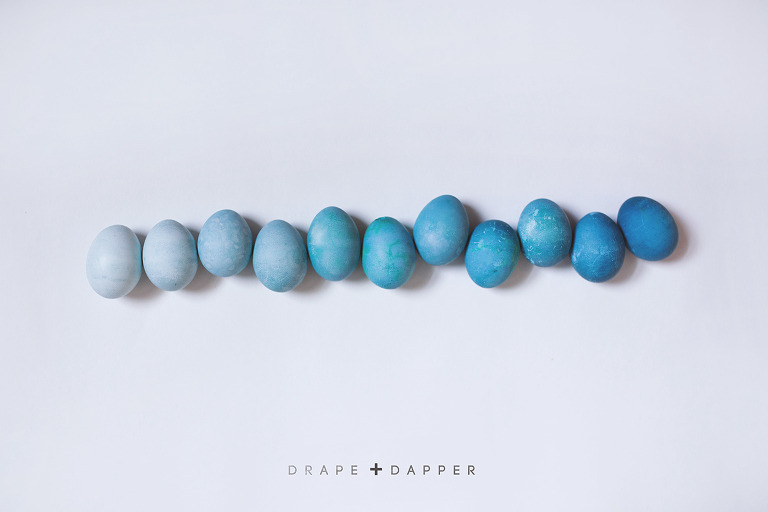 DIY natural ombre easter eggs. I can not tell you how much I love these. I’m kind of obsessed with them and how they look. I want to ombre egg everything. Don’t be fooled – I skipped dyeing eggs last year with my 3 kids because lets be honest, I usually forget. Sorry kids. SOOOO thank goodness this blog has stepped up my game to not only dyeing eggs early BUT also doing it naturally with this grocery store bought red cabbage. 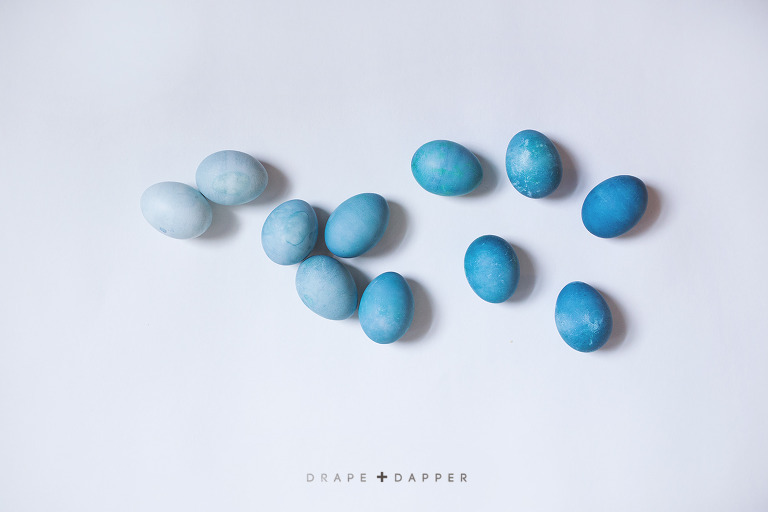 Here is a DIY for these fabulous ombre eggs……IF you can get past the smell that is….haha! Red Cabbage **Don’t be alarmed it will look completely like purple but with some egg magic your eggs will turn blue. 1. Chop red cabbage (I used half of one) and put into a large pot with water. Bring water to a boil. Boil for 30 minutes. 2. Drain cabbage water into separate containers or if you are like me and don’t want to dirty that many dishes – put them all in one giant bowl. ** For a more mottled textured look – do not drain the cabbage. 3. Add vinegar to help the dyeing process. I used about 1 tablespoon per 2 cups of water. Give or take. I really kind of guesstimated here. 4. Let soak. Really thats it!! *** The longer they soak – the darker they get. *** If you are going for the ombre look – periodically check them throughout the day and take one out every few hours. The last 3 stayed in the cabbage water overnight for that deep tone. Those also happen to be my favorite. Next up adding a little flair to our natural dyed eggs with some gold paint. Pretty sure thats a winner in my book!! Gold paint can be found at most local hobby store like Michaels or Hobby Lobby. 1. Take eggs and lay them out on a work surface – newspaper or outside on the grass. 2. Dip brush into gold paint – and splatter away. *** I’m going to get pretty technical here for my splatter methods. Hah. One way is to dip and actually shake/throw the paint at the eggs. Get all Jackson Pollack on those eggs. While the other method is to put your finger on the brush and flick the paint onto them. I used both to create different looks to achieve these fab eggs. 3. Let dry. 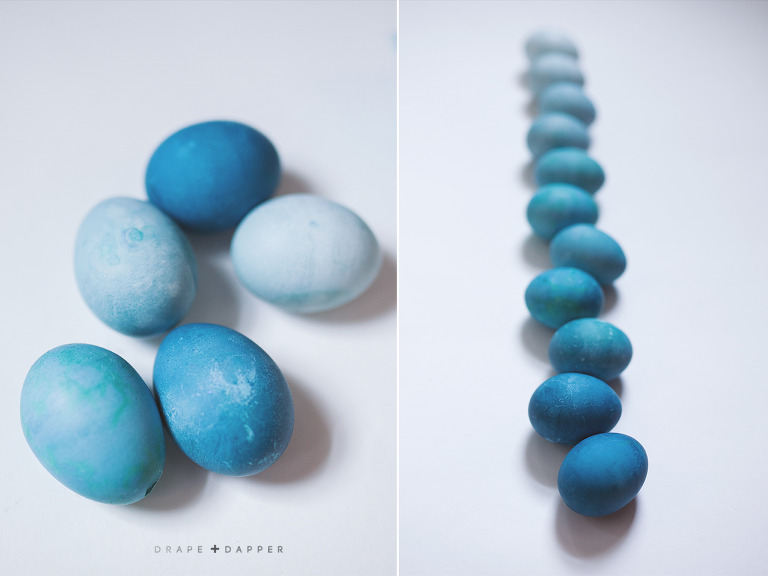 And your DIY ombre eggs with flair are finished. Sneak peek into whats coming next week as we use these eggs to set our table for Easter dinner. How awesome do these look!!!! Be sure to get on our email list on the right so you don’t miss posts!! !